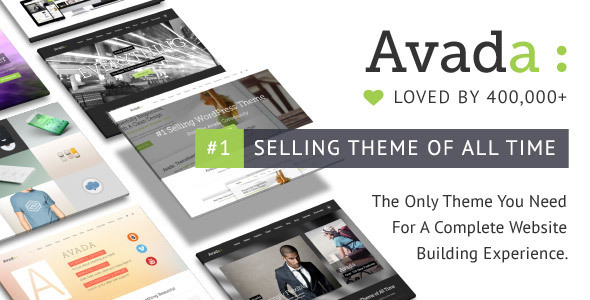 The name says it all: this site is about the Avada WordPress Theme by ThemeFusion and it is for you, whether you´re an Avada user or you´re just still looking for the right theme for your site and you want to see what can be done with Avada. Avada4u, however, will not just be a blog about Avada. You will find here much more, as this site will include useful tools and resources to get the most from Avada. The first two of these resources are already here: The filterable Avada Showcase and the Avada Theme Detector. When you´re considering a particular theme for a new site, you can usually check a demo at the theme developer´s site (in fact, many different demos in some cases, like in the case of Avada). That will give you an idea about what can be done with the theme. But wouldn´t it better to see what many others have already done with that theme? Even if you´ve already decided upon which theme to use and are already using it, by looking at the sites made by other users you can get very inspiring ideas that you will never get from the theme demo site. The problem usually is where to look for that inspiration, how to find a good collection of examples of sites using the theme. Well, when it comes to Avada, Avada4u solves this problem by offering you not just a few example sites, but thousands of them! Now you can use our Sites using Avada showcase. You can even choose the selection of the most popular sites using Avada because the Avada4u showcase is filterable. You´ll get a paginated collection of Avada sites showing 6 sites per page which can be filtered depending on the version used on the site, on the use of a child theme or not, or even on whether the site has eCommerce features. Hover over any one of the site screenshots displayed on the showcase and you´ll get the basic information about the site: it´s domain, the version of Avada being used, child theme information if applicable, the eCommerce plugin used by the site if it sells online, it´s Alexa rank, and the date of the last time that site was checked by Avada4u. Click on the desired site screenshot and Avada4u will take you to the live site on a new browser tab. Avada4u also includes a tool that you may find interesting for a quick check: The Avada Theme Detector. If you want to know if a site you like uses Avada, just enter its url and hit the button to check it. 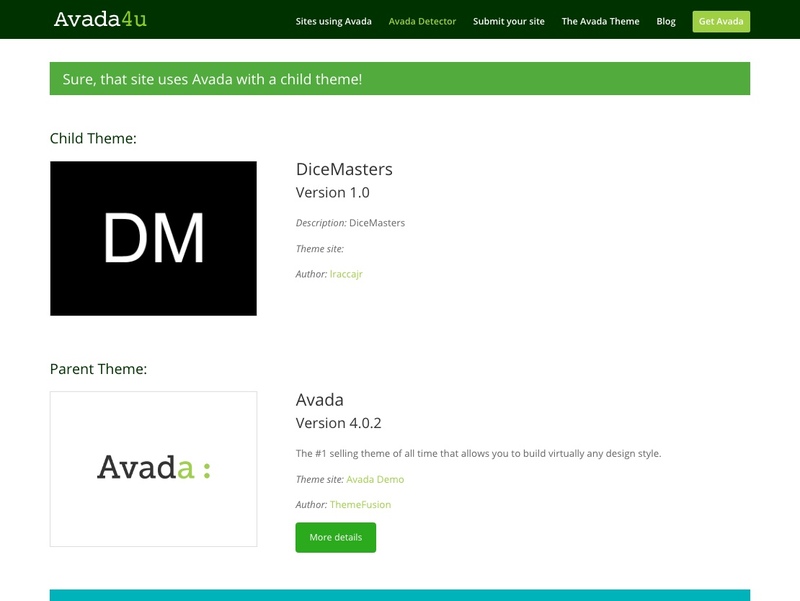 The Avada Theme Detector tool will analyze it for you and will show some details, such as the theme version or whether a child theme is used by the site. The detection tool also looks for eCommerce plugins being used by the site. Although information about such plugins is not displayed, it is stored in the Avada4u database anyway to be used by the showcase filtering feature. If the site does not use Avada, the Avada Theme Detector will tell you the name of the theme used. 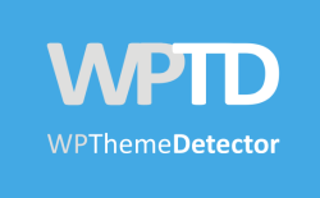 In any case, if you want to get detailed information about the theme, plugins and other details about a particular site, you can always check it using WPThemeDetector. As I said above, it´s nice to be able to see examples of what others achieved with Avada, but most developers also like their sites being displayed and linked to, since it´s a free way of getting some exposure. That´s why I´ve added the Submit your Avada site feature, connecting the detector tool to the showcase. 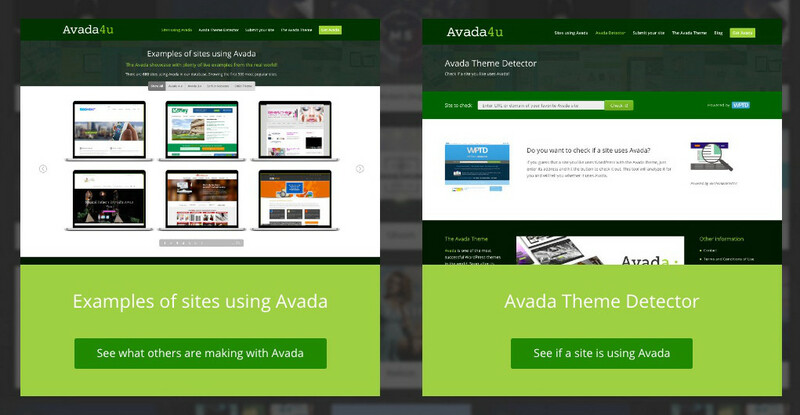 If you want your Avada sites to be included in the Avada4u showcase, all you have to do is use the Avada Theme Detector with your own Avada sites. Of course, you already know that your site uses Avada so you don´t need to use the Avada Theme Detector, but that´s the way to “introduce” your site to our showcase. The code makes sure a site gets displayed on the showcase just once, so you won´t gain any more exposure by entering several different pages of your site in the Avada Theme Detector. Checking the homepage is enough, or a particular page or subdomain if Avada is not used throughout the whole domain in the case of your site. So, if you are interested in Avada, make sure you subscribe to the Avada4u Blog to get our exciting news on time! Disclosure: Some of the links in this post are affiliate links. See our Affiliate Disclosure page if in doubt about this. I like avada theme, it is very interesting theme. I think this theme will be more suitable for future sites.